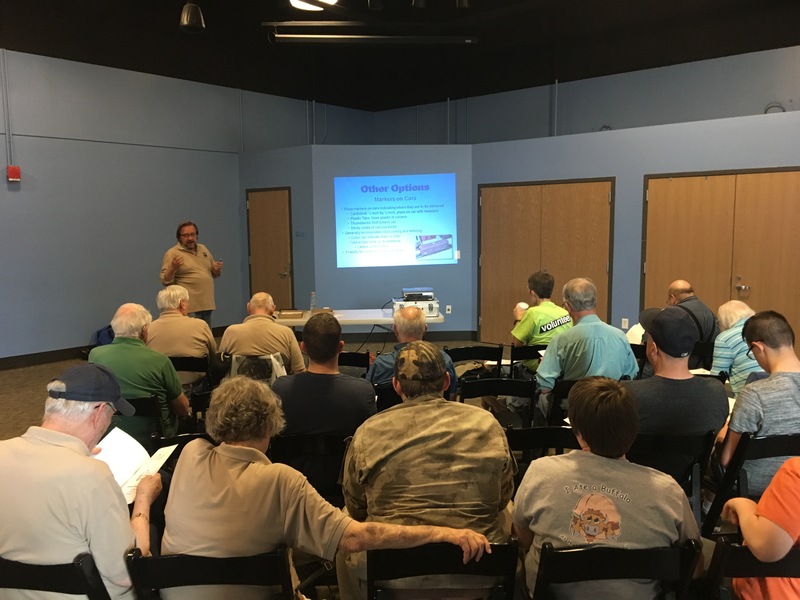 For those who missed Rick Luther’s clinic at our last event, it was a great one explaining how to simplify operations on your railroad. It can be confusing to try to follow along without actually doing it (the D.O.G.s are great to help you learn how to operate) but Rick has taken a KISS approach to operations to make it fun to just run trains. He knows what it is like to do all the traditional paperwork and changed it from 6 months of work to a couple of hours for the initial setup with this method. I have recently completed most of the track on my 4×8 with a switching yard and cassette staging. With his ideas I will now be able to have operations up and running quickly so that I can enjoy really operating my layout instead of only railfanning it! Here is a link to his handout that explains in detail how it works.